Shay is gifted, she's unlike any other girl her age. Shay can communicate with spirits. After her father disappeared when she was only six years of age, Shay began seeing Jeremy, a six year old boy that tragically died before his time in a sinister fire. Jeremy has always been her protector, warding off evil spirits and loneliness. When Jeremy disappears, Shay eventually finds solace with the tall, dark and handsome Hugh. She feels strangely drawn to him, a mere touch sends an electrical current through her body, but it seems that Hugh isn't your average collage either... He's a Cryptid. As Shay discovers her heritage, she learns more about her father and the gifts that she's now acquired. It seems that there was far more than a change meeting with Mr tall, dark and handsome, than she realises. Highly entertaining. The Cryptid series is a unique twist on the storyline of shape shifters and spirit walkers, descending from tribes and small, close knit communities. Shay is a likeable character, a smart young woman, who has always known that she's never been quite normal, but she's a little on the boring side for me. 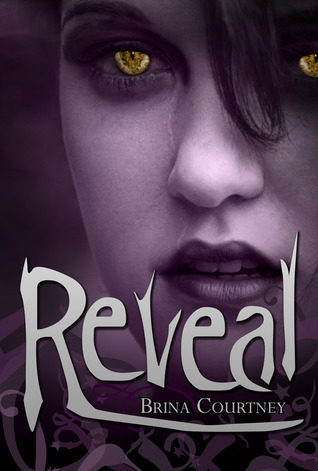 Reveal is well written and thrives on character development, their history and the relationship between Shay and Hugh. My only complaints is, the seemingly instant love between Shay and Hugh, even beyond the bond that they share and that I would loved to see more from the 'Darkness' Villain. I'm hoping that it's building up to a good verses evil showdown, like in all great supernatural novels.